7 A Cookie for you! 37 You aware you welcomed on the user page? 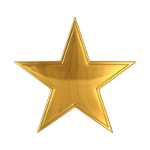 You have been given a shiny gold star! Nice work adding images to an article that was majorly suffering from wall-of-text syndrome! Hi, Holomay. I have a request to make if you don't mind? I am almost done with my Neloth page, but just need 3 images before I can launch. I'd would very much appreciate it if you could help me out? I have posted them on the requests page but I thought I'd directly ask you if that's okay? 3:4 front facing shot of both Neloth and Talvas standing next to each other and both looking straight you - during the additional Experimental Subject quest where your eyes are turned into tentacles and the screen fades out. A shot from the waist up please - and if it looks like Talvas is talking, that would be a massive bonus. Caption by Talvas: "Master Neloth! What have you done to him? What are those things growing out of his eyes?"" 3:4 shot of Neloth having a conversation with Varona in Tel Mithryn. Similar to this or this or any other pose Neloth does in Tel Mithryn. Caption: "Master Neloth, I'm preparing for a trip to Raven Rock to pick up supplies." 3:4 shot of Neloth having a conversation with Drovas in Tel Mithryn. Similar to this or this or any other pose Neloth does in Tel Mithryn. Caption: "Master Neloth, the silt strider traders just dropped off some supplies." If you look at those two images, they're taken from behind the NPC, while their quest counterparts are taken right in front of them to focus on them. That's what I mean, and now they're swapped. Of course you could argue that you'd take an image from over the shoulder of the NPC, so as to create "their" point of view in the image, and I had thought about that, but I think it's best the way I've said. Though of course, there are no rules on that specifically as far as I know, and there haven't been any discussions I know of either. The list of locations? All of them are fixed, not random, right? - So I think it's useful to add them. There are icons for Thieves Troves on the interactive map, so there should also be map links like on Online:The Rift#Skyshards, for example. The Zones are ususally listed in a different way, see Online:Tailors, Online:Wayshrines etc. You aware you welcomed on the user page? This page was last modified on 12 March 2018, at 23:02.